Author Kira McFadden has a big new promotion and book launch coming up, and all she needs is a little help spreading the word. If you’re willing to share the good news on your Facebook, Twitter, or Tumblr page (or all of the above), then Kira is willing to give you a chance to win! 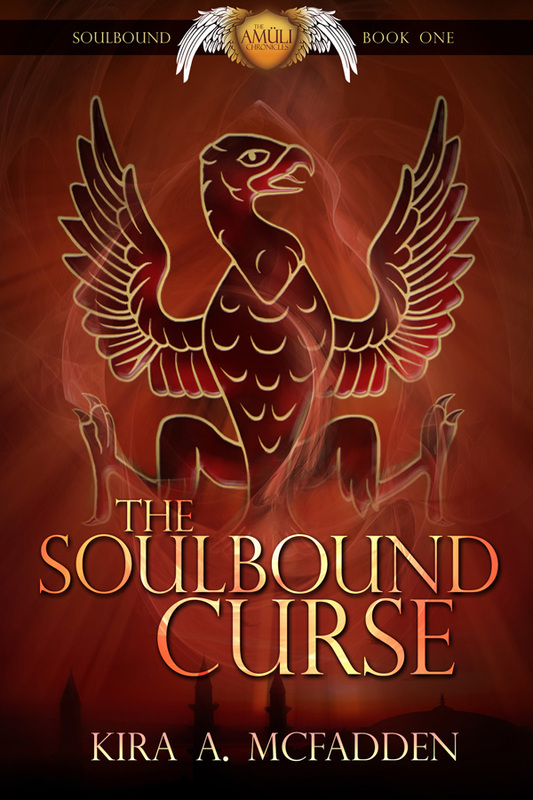 You can win a copy of the paperback, personally signed by the author, of the epic fantasy The Souldbound Curse. This book is 448 pages of fantasy adventure, and a great addition to your library. So please help Kira spread the word via her Thunderclap campaigns. It’s free, it’s easy, and it will only take a minute of your time. AND… you could win a signed paperback of a 167,000-word (released as 3 separate eBooks) epic fantasy adventure — a $19.95 value! Just enter the Rafflecopter event linked below by clicking on the first 2 options, and those in turn will open up 2 additional ways for you to earn points in the raffle. And good luck! This entry was posted	on Wednesday, November 18th, 2015 at 2:52 pm	and is filed under Promotion. You can follow any responses to this entry through the RSS 2.0 feed. You can leave a response, or trackback from your own site.